Moroccan food is one of the most versatile cuisines in the world and comprise of innovative dishes. The street stalls of Morocco are the place where the true essence of that cuisine can be relished. Their gastronomy is not only known for its main course dishes but also snacks, breakfast, soups and many more. 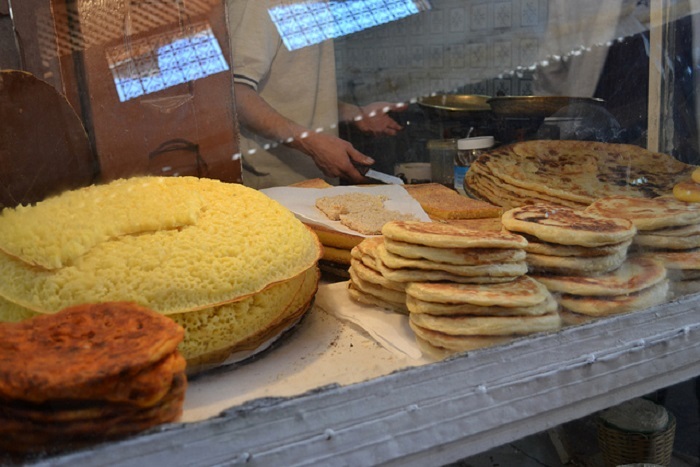 The breads of Morocco come with a vast variety and the people of this place are specialists in making food items which complements these breads like no other. If one is planning a trip to Morocco, then they have to indulge in the food of their street food joints which offer the true flavors of the country and having an acquaintance there only increases your chances of getting the in-depth taste of their delicacies. These dishes are sure to give a healthy boost to your system and at the same time stimulate your taste buds. Following is a never-ending list of foods of the Moroccan cuisine which is a must try for every food lover. Breads are a common food all over the world, but the variety of this food which Morocco has, is truly amazing. 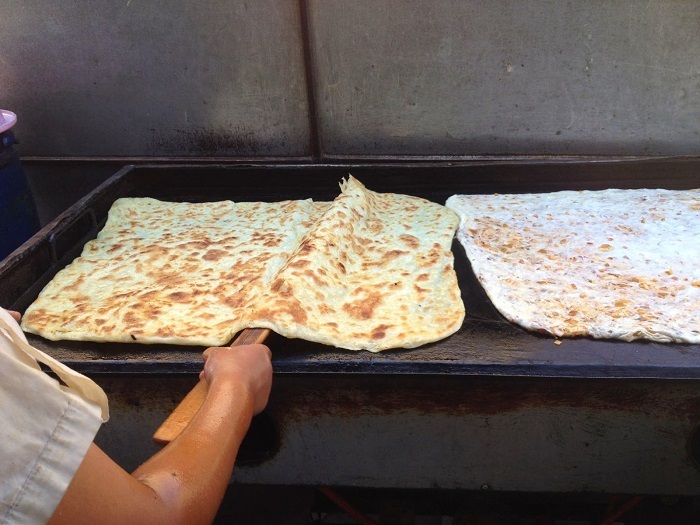 One can find baked as well as fried bread in Morocco and depending on the type and texture, each variety of bread is given a different name. Tagines are typical cooking pots with conical lids, and the food prepared in it is known by the same name. The shape of the lid makes the evaporated water, get condensed and flow back into the dish, which is useful in cooking with less water. In Morocco, tagines are used extensively to prepare meat or vegetables or a combination of both over a slow fire. 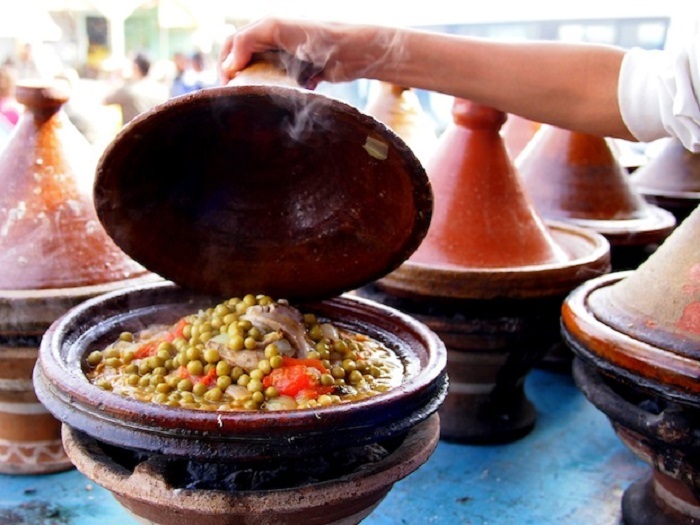 The clay pots (tagines) give the food a mesmerizing aroma, and it can be enjoyed better with a loaf of bread. 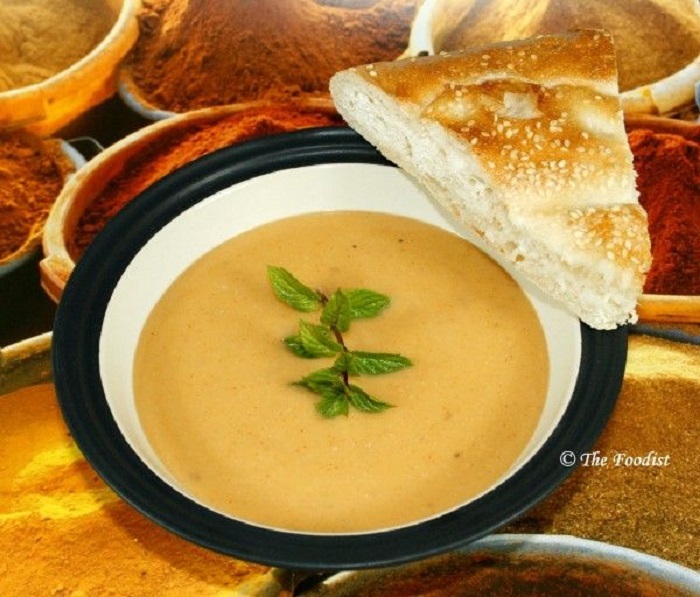 Harira is a renowned soup in the Maghreb region of South Africa, and one of the relishing soups in Morocco. 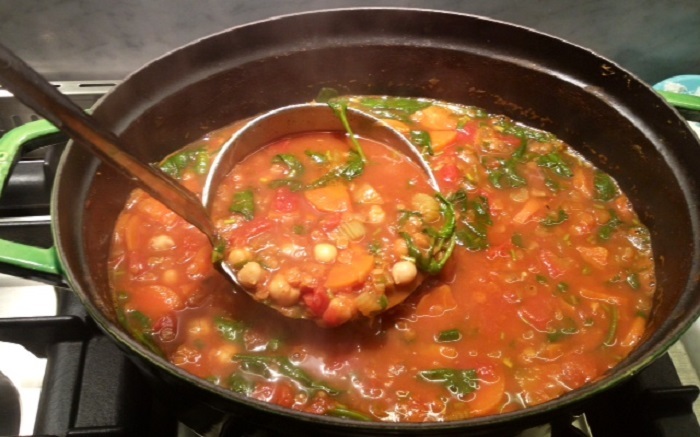 It is a thick soup which owes its smooth consistency to tomatoes; chickpeas and lentils give it a granular trace and the meat completes the wholesomeness of the food. Couscous is a form of pasta which is prepared from scratch by hand and steam cooked. 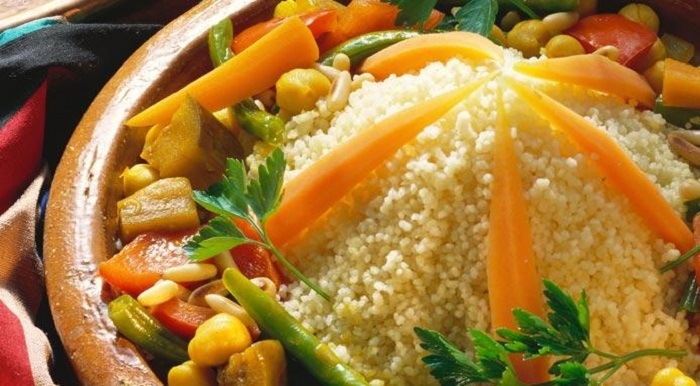 Stewed meat is covered with a mountain of couscous, which is then topped by stewed vegetables. The way in which this food is served gives aesthetic pleasure and at the same time is filling. B’stilla is a special pie made with pigeon meat added with egg and almond and lastly the pie is sprinkled with powdered sugar and cinnamon. Nowadays even chicken is used to make b’stilla, and is a delicacy in Morocco. 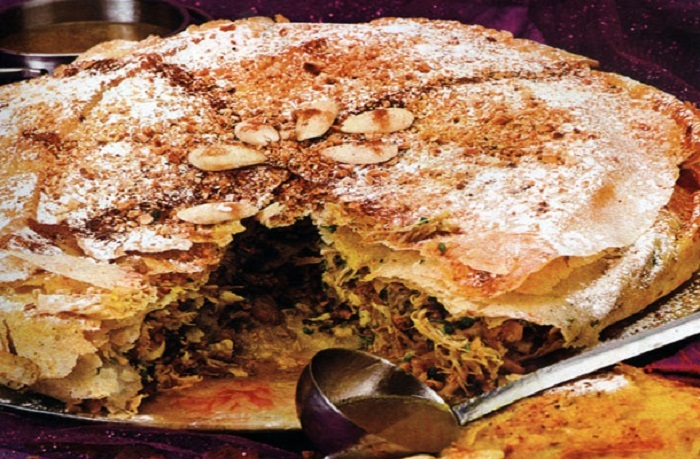 The crispy outer crust coats a tender filling of meat and spices, and is topped with a crunchy layer of almonds and sugar. This food is a seamless blend of two distinct tastes, sweet and salty. One of the favorite Moroccan bread is the Msemmen, which is stuffed with ground meat (kefta) and onion. It is savored with butter, honey or even cheese laced on it, along with a hot cup of tea. Bessara is a traditional soup of Morocco, which is usually consumed as a breakfast dish, but is also preferred for lunch by some. This is made with fava beans and is garnished with cumin seeds, coriander or mint leaves and a few droplets of olive oil. A celebrated dish, brochettes, is spiced ground meat wrapped on a skewer and grilled preferably over charcoal. These are served with bread, olives and salad. Chicken is usually the primary ingredient but turkey is also sometimes used as a substitute. 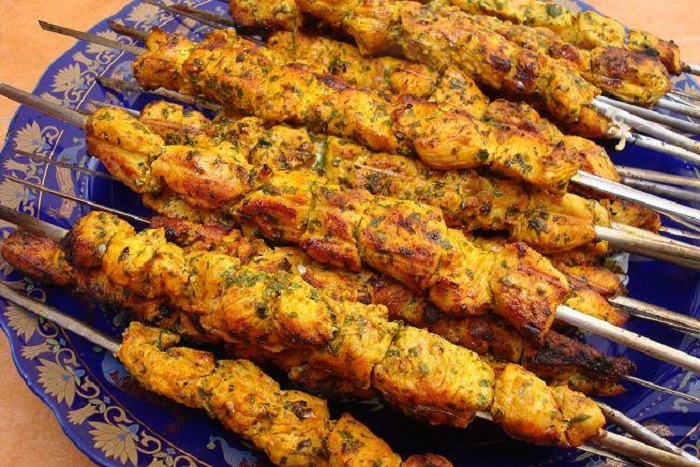 Brochette on a grill is a familiar sight on the streets of Morocco, and the smoky aroma is good enough to lure one’s desire to taste the meat. 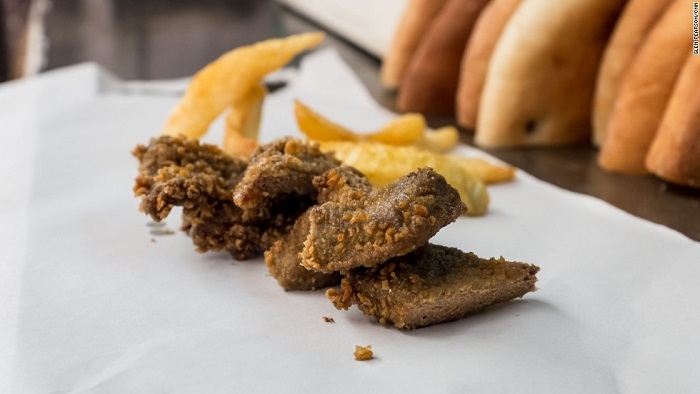 The soft and silky crumped liver is sprinkled with salt, spices and laced with a little fat before its grilled. This is a popular street food in Morocco and a mouthful of serving is priced at around MAD 10 ($1.18). Kefta is meatballs made with minced meat (lamb, beef) wherein the dough is made with garlic, parsley, cinnamon and ground coriander. 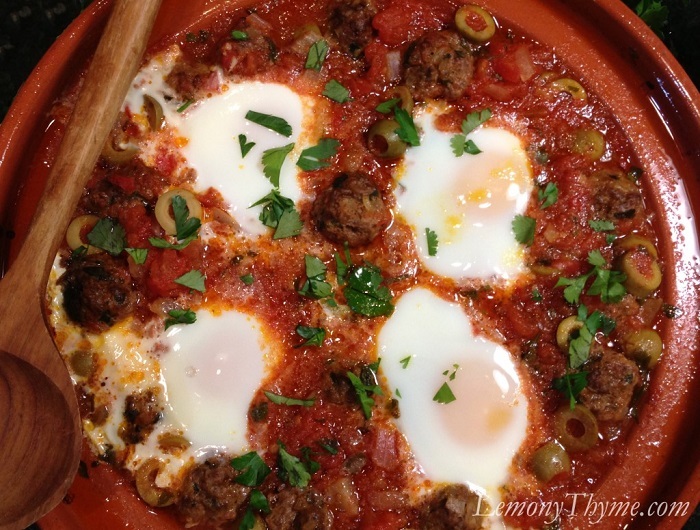 These meatballs are sometimes cooked in a tagine dipped in flavorsome tomato gravy filled with pungent spices. To add a final touch of taste, poached eggs are added to the gravy. 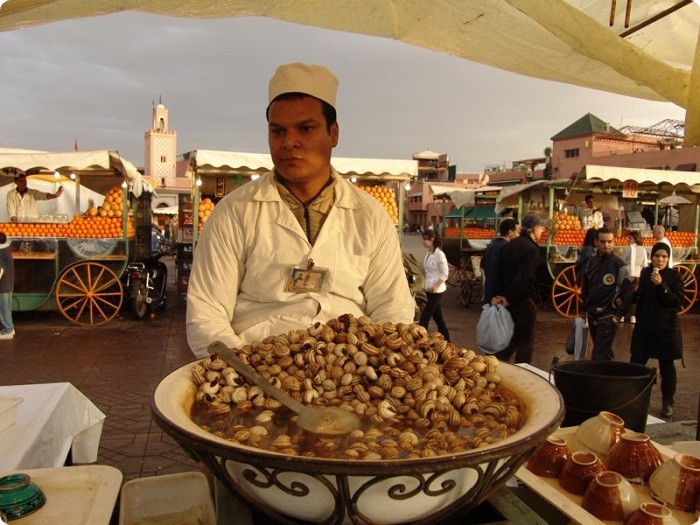 Snail soup or ghoulal, as it is better known in Morocco, is a delicacy in the country, and a blissful bowl of this treat can be enjoyed without burning a hole in the pocket. Live snails are washed, and then boiled along with a wide range of herbs and spices to prepare Ghoulal. A toothpick is used to prick the delicately cooked snail out of the shell, in order to fully indulge in this lip smacking delight. 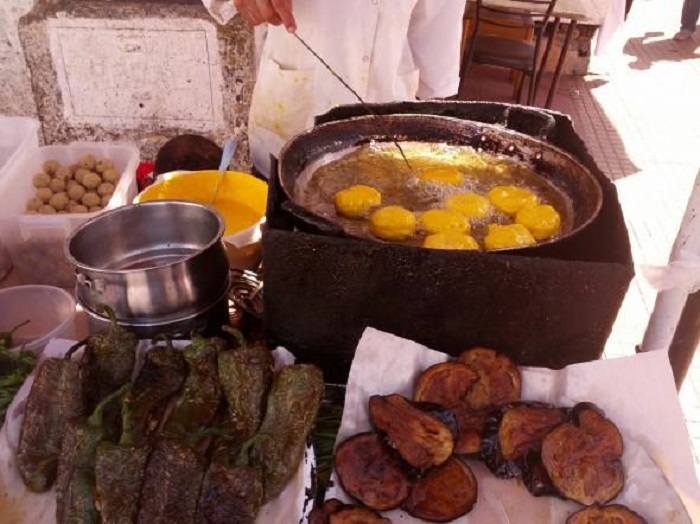 The Aubergine fritter is one of the most succulent and affordable snacks found on the streets of Morocco. This is a perfect snack for the vegetarian population. The eggplant are dunked in a thick batter and then deep fried. The batter’s crusty coating complements the soft eggplant inside. One of the variations of this food is the one prepared with potato. Popular Brazilian Food We Have To Try At Least Once In Our Lifetime!